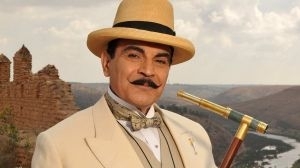 Poirot is a UK series that brings to life Agatha Christie's Belgian detective, Hercule Poirot (played by David Suchet), whose sleuthing belongs chiefly in the 1920s and 1930s. Based in London, with the very English Captain Hastings (Hugh Fraser) as his Dr Watson, Poirot 's field of operations ranges around Europe. The series has strong story lines, good production and acting, and an unmistakable flavour of the pre-war years. 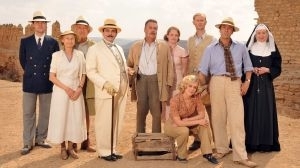 It won two BAFTA awards in 1990, then had BAFTA nominations as Best Drama Series in 1991 and 1992.Fifty of Agatha Christie's seventy-two Poirot stories have so far been filmed in this series, so there are a lot more still to look forward to. 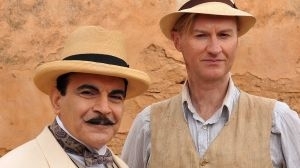 Beyond the UK and North America (where Poirot is broadcast by A & E) the show is seen in more than eighty other countries around the world. As a deadly game of chess unfolds in the wake of World War II, Russian grandmaster Dr Ivan Savaranoff meets a shocking end, sending the public spiraling into panic, as suspicion is cast upon Peace Party stalwarts Abe Ryland and Madame Olivier. 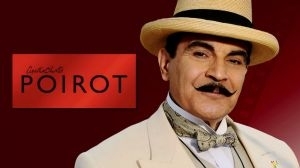 In one of his toughest challenges yet, Poirot must work out who the villains are from the good people, as a complex plot sees a host of international figures used like pawns by a gang of dangerous dissidents tagged "The Big Four." As the murders and disappearances stack up one by one, Poirot is joined in his investigations by his old friend Japp, the dogged journalist Tysoe, and struggling actress Flossie Monro, in an attempt to snare the killer and shatter "The Big Four" for good. The sleuth falls victim to depression after failing to prevent the murder of a society girl by notorious art thief Marrascaud. 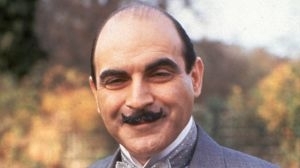 His confidence shattered, Poirot eventually returns to work when a lonely chauffeur begs him to find his missing soulmate, the maid of a famous Russian dancer. The investigation takes him to the Swiss Alps, where, against all odds, he stumbles upon a hotel thought to be Marrascaud's hideout - leading to a very personal showdown. In the post-war climate of the late 1940s, an ailing Poirot reunites with his old friend Captain Hastings at Styles Court, the place where they had solved their first murder together almost thirty years previously. 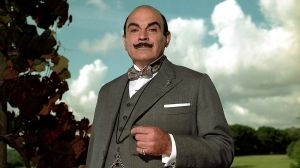 Styles is now a modest guest house run by an elderly couple, and Poirot knows that one of the guests staying there is a heartless serial killer. The suspects range from a chemist and his invalid wife, a dashing but untrustworthy major, a charming aristocrat, a melancholic middle-aged woman, an unobtrusive birdwatcher, and Hastings' own feisty daughter. 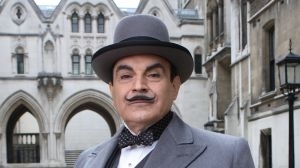 With Hastings' assistance, an incapacitated Poirot tries to prevent another murder from occurring, knowing that his own end is nearing. September 17th 2012 Genre added by Christof. May 11th 2011 Rating updated by Varisic. May 11th 2011 Series added by Varisic.